The Classic 3/4 Ugg with Animal Print is a Euram Ugg style that features designs based off various exotic animals. The genuine cow leather heel has been printed with the patterns that are characteristic of these animals. Available designs include a black and white zebra print, inspired by the African savanna, and a leopard print which draws upon Asian and African influences. Within our animal printed ugg range, a special edition viper printed design is also available. The Classic 3/4 Ugg with Animal Print is available at the Euram Australia online shop. Tomato is a new ugg boot colour that is available in selected Euram styles. It is a rich yet vibrant addition to our classic range of colours, which already contains over ten different shades. At Euram, we love Mother’s Day! That’s why we’re offering $20 off all our footwear, so your mother (or anyone else for that matter), can enjoy the luxuriousness of our pure sheepskin boots or slippers. Simply enter the code “MUMSDAY” during checkout at shop.euramugg.com.au to receive this promotion! We’re offering this discount on all our boots and slippers, even if they are on sale. Plus, we’re still offering free standard shipping to all Australian destinations. The details of this offer: A $20 (AUD) discount applies to the price of footwear products on our site. This offer is not available at our bricks-and-mortar stores, or at our resellers (who may have separate prices or promotions). The $20 off offer ends on Mother’s Day; 10/5/15. To be eligible for this promotion, you must have a shipping address within Australia. Otherwise, we have the right to refuse orders. Using this coupon does not guarantee that your order will be received before Mother’s Day, but our express shipping option provides a 1-2 business day delivery guarantee. The EVA sole to the left, and the Rubber + EVA sole to the right. For many styles in our Euram Ugg Collection, you have a choice between our standard EVA sole or our new Rubber + EVA sole. We understand that many people like to wear their ugg boots in the comfort of their own home. They may even like to wear them outdoors occasionally. For these comfort-lovers, we recommend an EVA sole. The EVA sole is around half as light as our Rubber + EVA sole, so maximum comfort can be achieved. For those who like to flaunt their boots outdoors, the Rubber + EVA sole is another great choice. This type of sole is strengthened with a thermoplastic rubber base, so is hard-wearing and provides more traction on the ground. Yet, the EVA component helps it still stay lightweight. For more information about our new soles, please view our product page about Euram’s sole materials. 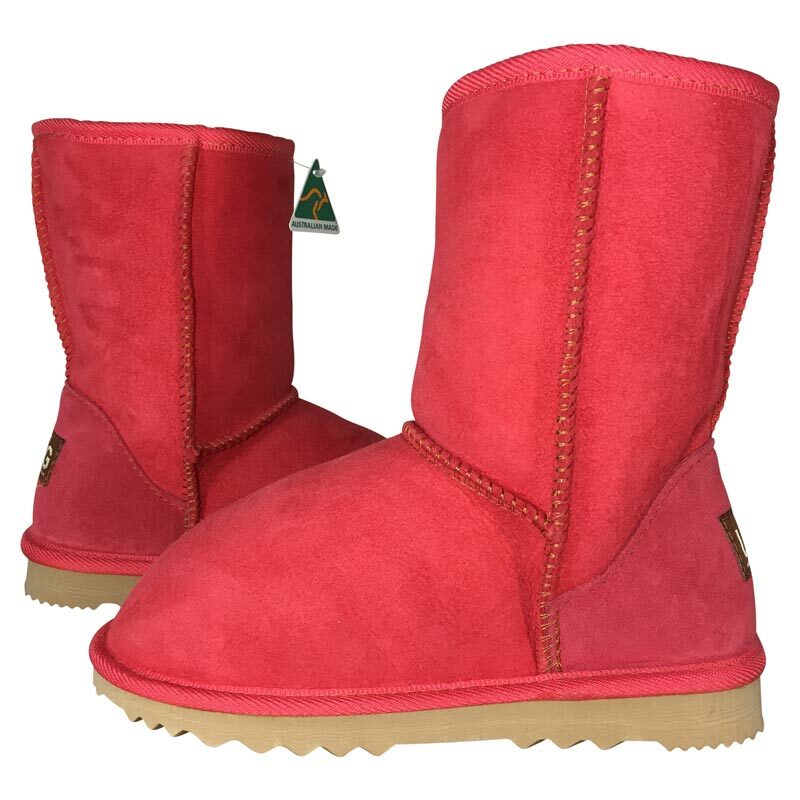 The Mulga Low Ugg and Mulgani Low Ugg Boots are new additions to the Euram Ugg range. These two styles share many similarities; a round wooden button, elastic string, countered heels and a asymmetric curved geometric design. The key difference is shown around the edges of the boots. Whilst the Mulga Ugg features binding around the edges for extra strength, the Mulgani Ugg has hand-cut edges to reveal the furry sheepskin interior. Whichever style you choose, you can be assured that you’re getting a high quality Australian made product featuring genuine twin-faced sheepskin. 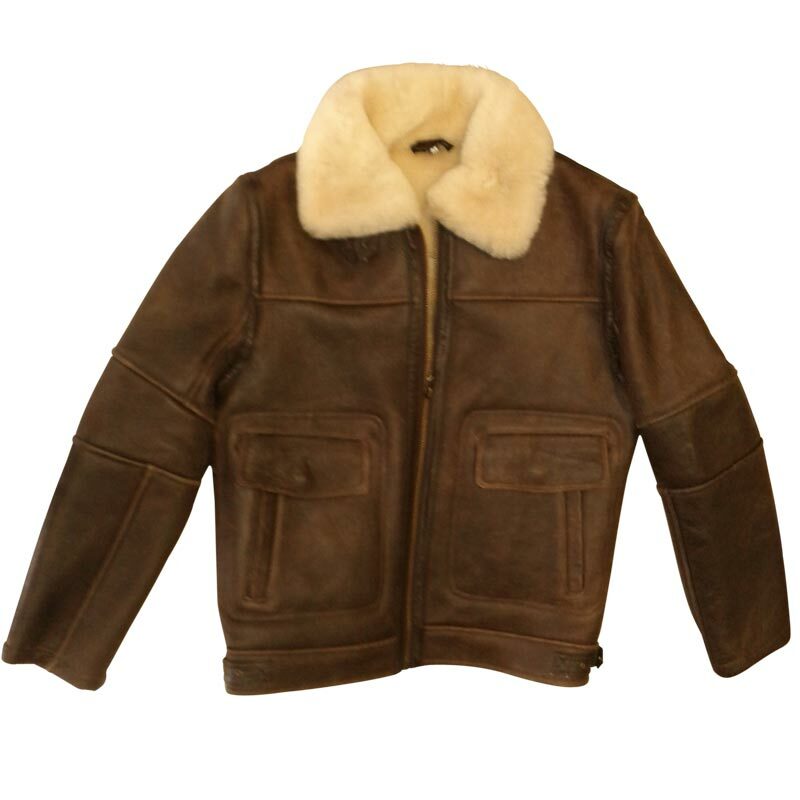 We’ve introduced a range of new sheepskin jackets and vests to the Euram online store. These styles are made with genuine Australian sheepskin. The highest quality materials, including twin-faced sheepskin, are chosen because we believe that quality matters. As a result, these jackets are durable and warm. The Sheepskin Nappa Bomber Jacket is even water resistant, making it the perfect choice for a variety of harsh outdoor environments. 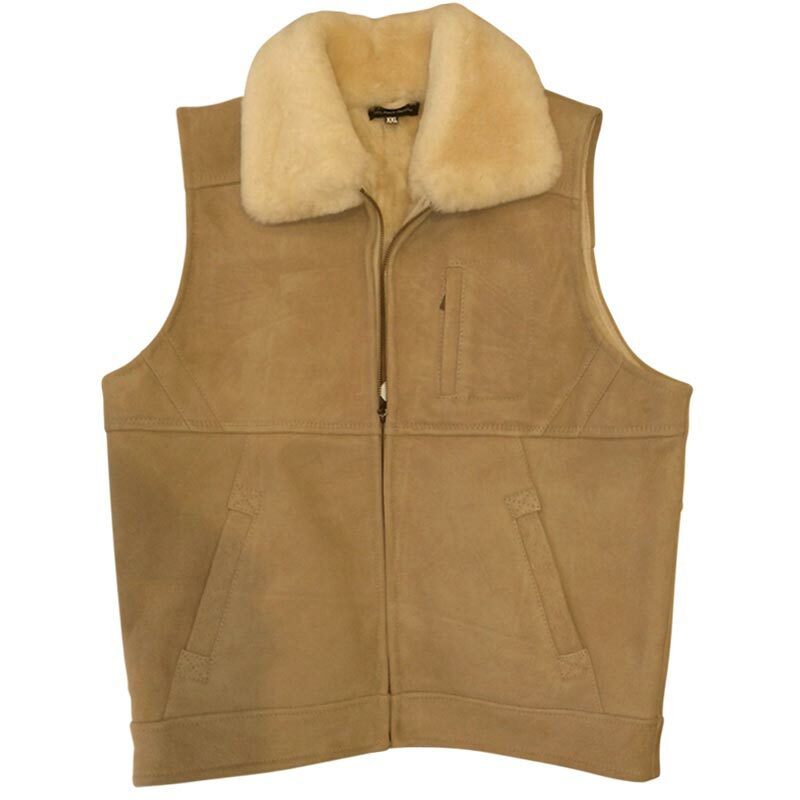 The Sheepskin Vest is a sleeveless alternative that offers three pockets for extra storage. For a limited time, these jackets and vests will be on sale at the Euram Online Shop. We’ve introduced a new style to our Comfort range of ugg boots and slippers – The Kangaroo Ugg Scuff. This addition does not hold back on style; we’ve chosen to flaunt the unique quality of kangaroo skin by letting it cover the whole upper exterior of the scuff. This achieves a unique and furry Australian look. Only the highest quality kangaroo skin is used to ensure maximum furriness! As always, Australian sheepskin is also used. This style is made by hand in Australia as well. 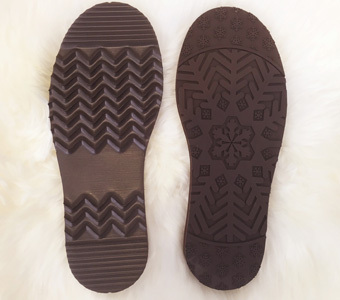 The Kangaroo Ugg Scuff is perfect for use within the home, as well as for light outdoor use. 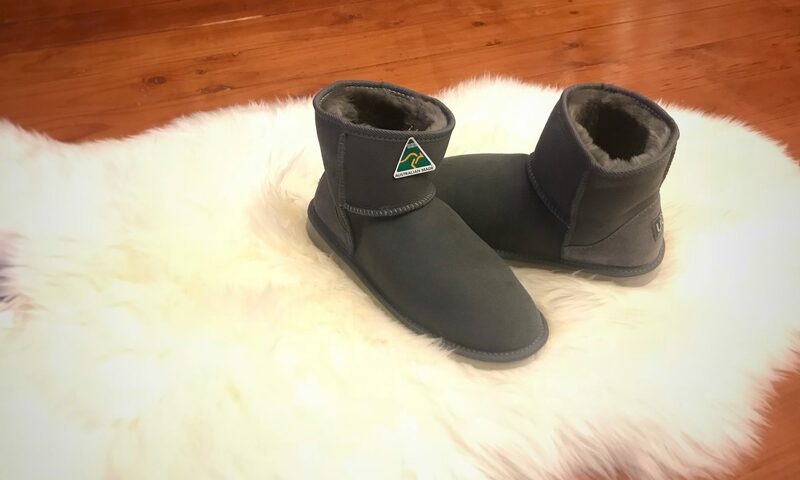 For more information or to purchase this style with fast shipping around the globe, please visit the Kangaroo Ugg Scuff product page. We’ve got good news for all international lovers of Euram Australia! Our official online shop, where we sell our exclusive sheepskin products, now offers international shipping to most countries around the world! So whether you live nearby or halfway across the world, we’ve got you covered! Since the introduction of our Medi Ugg Slipper earlier this year, we’ve received a lot of positive feedback. Our customers commented on how it was suitable for medical purposes. When designing this style, we kept in mind that every person’s feet are unique. Some people need a more roomy fitting (for those with swollen feet). Some people need slippers that are super easy to slip on. Often, standard ugg boots do not address these issues. So taking on board customer feedback, we came up with the Medi Ugg Slipper – this style is exclusively designed and handmade by Euram Ugg in Australia. A few of our customers commented that they’d like a darker colour as an alternative to the standard Sand colour. So due to popular demand, the Medi Ugg Slipper is now available in Chocolate! This is a darker colour that hides the appearance of dirt more easily. To find out more about this style or to order a pair online, please visit the Medi Ugg Slipper product page! These specially designed stencils are used when making Euram ugg boots. Over Euram Ugg’s 13 year history, we have improved and refined our shoe designs to make them as anatomically correct as possible. We believe that ugg boots should provide a great fitting. They should be comfortable and supportive to the foot’s structure. Therefore, we have devoted hours upon hours of effort to improve the designs of our boots. Sometimes, the changes are minor. The shoe patterns may be changed slightly to make them look more visually appealing. Other times, we introduce bigger changes. For example, our products are among one of the only boots with innovative countered heel technology, which provides an anti-slip support and a better fitting to the heel. Although the changes in our designs are often small, bit by bit, they make a noticeable difference in both comfort and quality. Today, our boots are among the longest lasting and most luxurious available. Even after all these years, classic ugg boots are still among the most popular of all ugg styles. Even though other styles have come and gone, classic styles have stayed. So why are these boots so appealing? Well our customers know that they’re made with twin-faced Australian sheepskin, crafted in Australia, durable, comfortable and well-fitting. In fact, the classic styles have become so popular that we’ve introduced them in a range of new colours (e.g. Sky Blue – pictured). 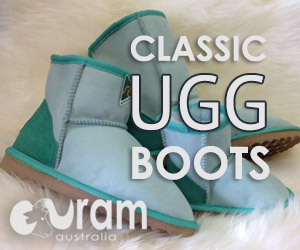 To browse Euram Ugg’s classic range, please visit the Euram Ugg Boots Shop. The heel counter (the rigid area at the heel of many types of footwear) is arguably the most important part of sheepskin ugg boots. It provides support and aligns the foot so that the wearer can remain comfortable. Euram Ugg’s new countered heels undergo heat treatment, where the heel board is heated to nearly 200 degrees Celsius then cooled quickly, “freezing” it into a contoured shape that fits naturally around the heel of your foot. The new heels not only retain their shape for much longer, but look much better! For more information about the new standard in heel countering processes, visit the “Countered Heels” page!